TUNIS, Tunisia -- The Islamic State group issued a statement Thursday claiming responsibility for the deadly attack on Tunisia's national museum that killed 23 people, mostly tourists. 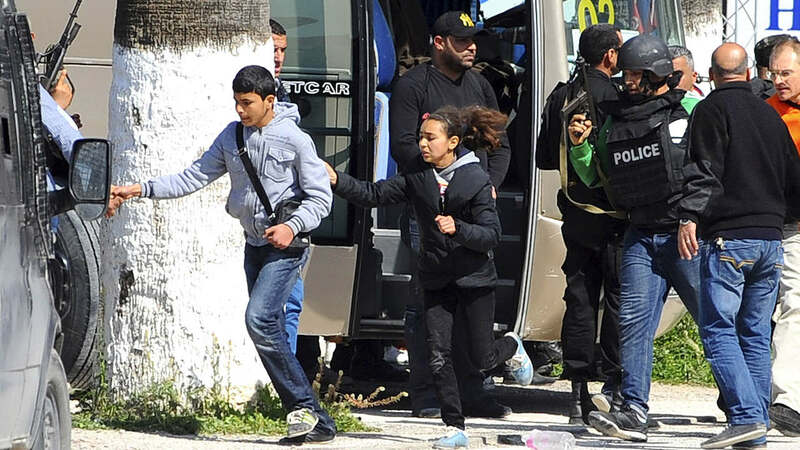 The statement described Wednesday's attack in Tunisia as a "blessed invasion of one of the dens of infidels and vice in Muslim Tunisia," and appeared on a forum that carries messages from the group. The statement said there were two attackers and they weren't killed until they ran out of ammunition and it promised further attacks. "Wait for the glad tidings of what will harm you, impure ones, for what you have seen today is the first drop of the rain," the statement, which was also announced by U.S.-based SITE Intelligence Group. IS, which is based in Syria and Iraq, has affiliates in neighboring Libya, where many Tunisians have gone to fight and train with extremist groups. Earlier this week, a prominent Tunisian field commander for IS was killed in fighting inside Libya. Tunisia's government, meanwhile, announced the arrest of nine people - four of whom were connected directly to the attack and five others who supported them elsewhere in the country, authorities said. The attack on the museum, which houses Roman artifacts in Tunis, was the worst at a tourist site in Tunisia in years. The deaths of so many tourists prompted a leading Italian cruise ship line to announce Thursday it was canceling all stops in Tunisia indefinitely. One of the slain gunmen was known to intelligence services, the prime minister said. Prime Minister Habib Essid told France's RTL radio that Tunisia was working with other countries to learn more about the slain attackers, identified as Yassine Laabidi and Hatem Khachnaoui. He said Laabidi had been flagged to intelligence, although not for "anything special."